DDC Laboratories India is now providing DNA Test in Anantapur Andhra Pradesh. Easy collection of samples and quick results is what our center ensures. Anantapur is a small station but growing demand for a reliable laboratory is the reason DNA Diagnostics has opened here. Patients can rely on the laboratory as it is AABB certified Laboratory and it ensures reliable results at minimal costs. Patient privacy is also taken care of. Also samples can be collected from home too according to customer’s convenience. There are various test of DNA tests like maternity, paternity test, Profiling and Sibling DNA test. But some are performed only if court orders. To catch criminals- DNA Test in Anantapur saves the time and effort of judiciary and police. Forensics just need to collect sample from the site of crime and perform DNA test. DNA test reports are matched with the suspected criminals to catch hold of the real culprit. Immigration purpose- DNA test has acted as a tool to unite people across this Globe. 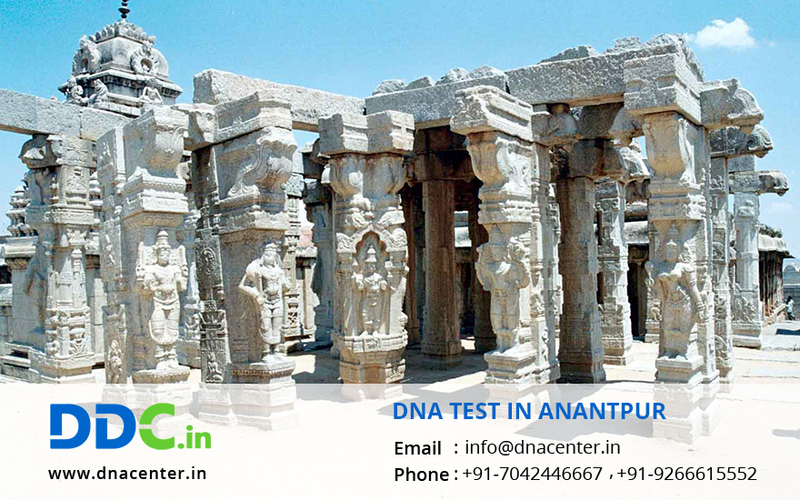 DNA test in Anantapur helps the people to legally prove their relationship by DNA testing. It is accepted by court. Ancestral History- Ancestral history can be traced through DNA testing and questions related to interbreeding, migration etc also get a valid answer. Identify Dead Bodies- DNA test can prove to be fruitful in case when a dead body has decomposed and is beyond recognization. DNA test helps to find the identity of the deceased.